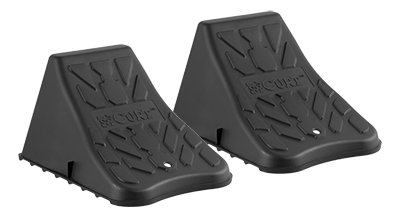 CURT wheel chocks are perfect for blocking the wheels of your trailer when it is parked and left unattended. They're great for campers or for use with your vehicle when performing maintenance. We also offer a wheel chock lock for an added measure of security.